Thai cuisine cooked with a fine combination of pungency, sourness, sweetness and herbs including fresh coriander and basil are served in a stylish atmosphere. 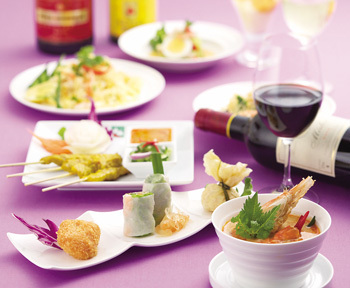 The wine steward selects wines and original drinks for you that go well with Thai cuisine. Party plans and private rooms are also available.